Before NHL was two, we went for a trip to see some friends in Pennsylvania. While there, NHL slept in a bed by himself for the first time. (He was still sleeping in his crib.) When we got back home, NHL was restless at night. We quickly figured out that his problem was that he had gotten a taste of a big boy bed and wanted more. We got a twin bed, put it in his room and retired his crib to the basement for storage. After JSL was born, the crib was brought back out and JSL slept there. 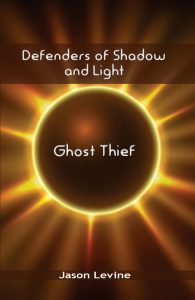 As he began approaching three, he seemed to have more and more restless nights. We would often find him pushing his body against both sides of the crib at once or with arms and legs in the crib slots (at which point we would need to help him get free before he woke up). We would get him a bed like NHL’s but their room isn’t big enough to support two beds. There would be literally no space to walk past the beds. We’ve considered our options and right now our best bet seems to be bunk beds. JSL would get the bottom bunk and NHL the top. Of course, we’re worried about potential dangers of bunk beds, but we also don’t see any other option considering their room size. 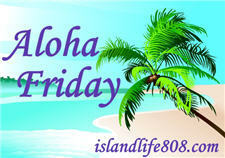 My Aloha Friday question for this week is: Have you ever had bunk beds? If so, what do you recommend we look for/look out for? I have never slept on a bunk bed or had them for my children, so I don’t know about them. They do save a lot of space. My boys had bunk bed but they were older. My grandsons are 6 and 10 and they sleep together in a twin bed. They each have their own bed but choose to sleep together. The read and tell stories before they drift off to sleep. Another idea is take a twin bed and have a pillow at each end. Put the fitted sheet on but leave the flat sheet and blanket open at each end. They may touch feet occasionally but it will work. We’ve done this with all three grandkids. Two at one end with another at the other end. 😉 Good Luck and Hi to Beth!! I do not have kids yet, BUT I did use a bunkbed when I was a child, sleeping on the top. I know they have come a long way since the 1980’s but the side bar that was suppose to protect me from falling off, did not work so well and I fell from the top bunk and smashed my wrist on my toy box and broke my wrist. I was around 7. So make sure it is safe,lol. Honestly I’ve only used bunk beds once – and it was at camp! I remember being super excited to sleep on the top bunk, but then my pillow fell in the night and I was too scared to hop down and get it! Good luck with your bed dilemma! Feel free to swing by my blog and answer my question too! We had bunk beds right about the same age that NHL and JSL are. Never had issues that I can remember. Both my husband and I used bunkbeds when we were kids. Our two daughters (now grown) also grew up using bunkbeds as they shared a small bedroom. Not sure how old NHL is, We have have bunk bed for years. The one thing about them is a top bunk is not to be used by children under 6 years old. You might consider a trundle type or one that is L shape,if he is under 6. some smaller children tend to fall out easier. they have a hard time using the latter at night. I have seen too many small kids in the ER with Broken bones. .-= Auntie Ea´s last blog ..Aloha Friday -Summers’ Coming Here! =-. We have a set currently for our daughters. I have to be honest with you – I don’t like bunkbeds. We have three boys and the older two used bunkbeds for awhile years ago. They were a pain to change the sheets and my boys had a hard time making the beds. Plus, my boys are little daredevils and often were caught jumping off the top bunk. Sorry, just my honest opinion. We used them as single beds and loft beds when my kids were really little. NHL is 6 right now (turning 7 in August) and JSL just turned 3. I’m sure, if we get bunk beds, that there will be some House Rule about not climbing into the top bunk without one of us there. At least for the first few months. I haven’t ever had them but I LOVE the way they look. Don’t they have those that have a bar across the top to keep from falling – not sure?? I have never used them. My friend has them for her son’s and loves them. I grew up in a bunk bed. I would consider that the bar on the top cannot be easily removed. My brother and i liked them had tons of games to play involving the beds. .-= GB Nordic´s last blog ..My Peanut =-. My boys shared bunk beds when they were younger. Now that I think about it, they both slept on the bottom. I think side by side would be better.